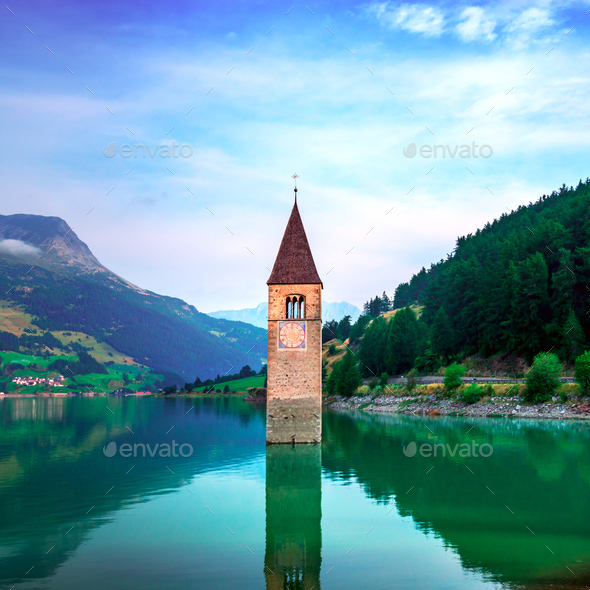 Beautiful view of the lake Resia. Famous tower in the water. Alps, Italy, Europe.